Word count is available for each chapter, each part, and for the entire book. Word count is posted at the bottom of each chapter’s content body. Words in the chapter title field are not included. Word count is posted at the bottom of each part’s content body. 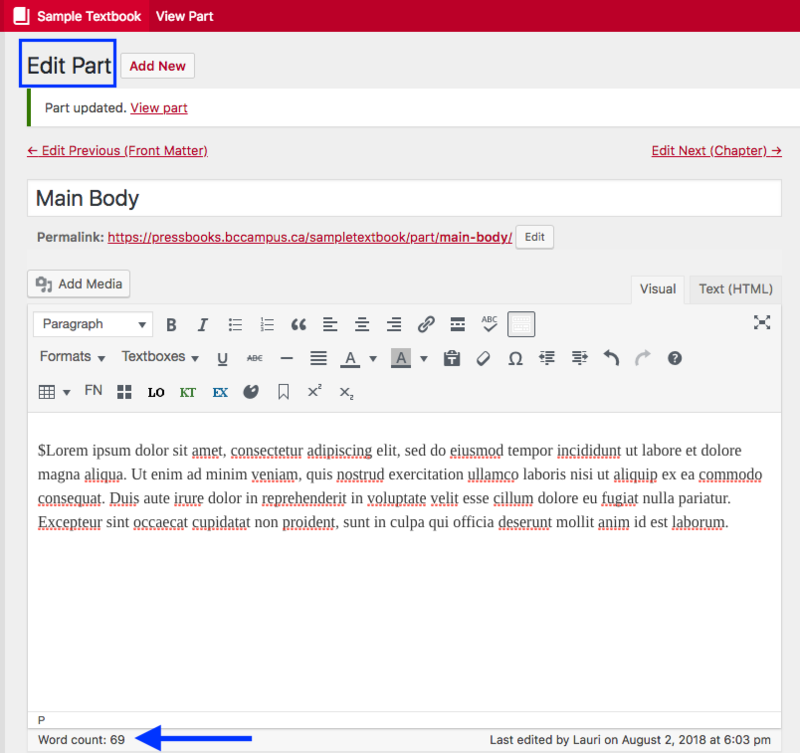 Words in the part title field are not included. Word count for an entire book can be found at the top of the Organize page. 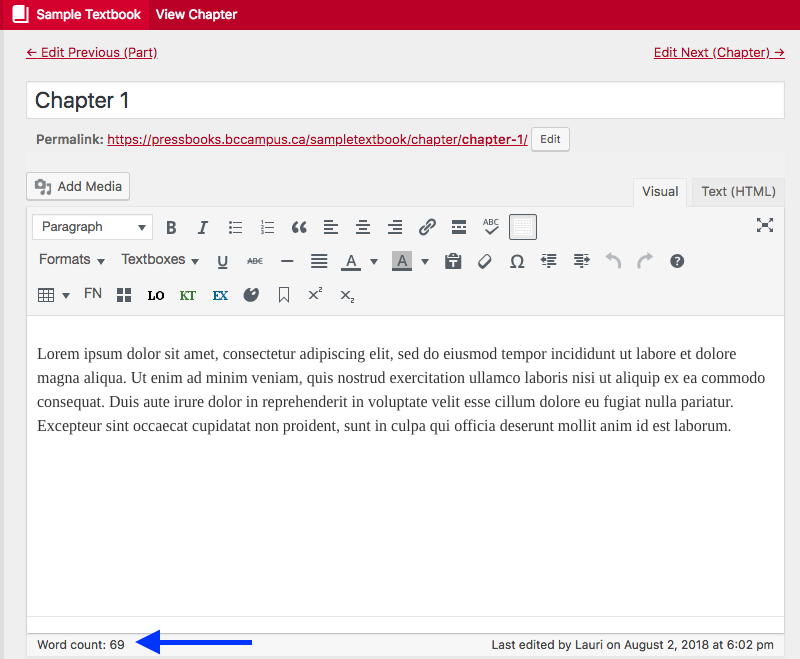 Here is also where you can find the word count for all chapters selected for export. Word Count by Lauri M. Aesoph is licensed under a Creative Commons Attribution 4.0 International License, except where otherwise noted.